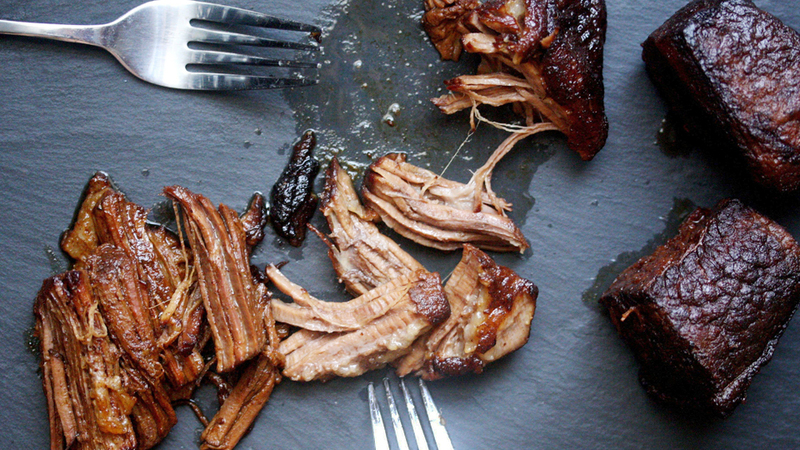 Mississippi roast: Who isn’t obsessed with this dish by now? What sounds like a recipe a baked college kid might make in their first real apartment — beef, a whole stick of butter, a packet of ranch dressing mix, a packet of au jus and some pepperoncini (because why the hell not) — has won our hearts, and it’s easy to see why. Simple, flavorful slow cooker recipes are always a prize. It’s hard not to bump into the recipe on Pinterest, and it even got a write up in The New York Times. But there is such thing as too much of a good thing, even when it comes to buttery, ranch-infused beef. Don’t let Mississippi roast become just another recipe that you binge-cook and then burn out on. These simple variations will ensure that the Mississippi roast stays in your repertoire for years to come. After all, when you find a recipe this easy and delicious, it’s one you definitely want to keep around. Beef is the standard when it comes to the Mississippi roast, but the process works just as well with other cuts of meat. Chicken stays moist and flavorful when made Mississippi-style; pork tenderloin gets even more luxuriously tender; and even pork chops are somehow more exciting when done the Mississippi roast way. Hell, we even found a vegan recipe. The original recipe calls for one packet of ranch dressing with either a packet of dry onion soup mix or a packet of dry au jus mix. But you can easily switch things up by swapping the au jus mix for another savory seasoning packet, like mushroom or onion gravy, barbecue pulled pork, meatloaf or anything that’s supposed to be used with beef. Likewise, you can swap the plain ranch dressing mix for a spicy ranch mix, a balsamic vinaigrette mix or an Italian dressing mix. The recipe also calls for a stick of butter. Consider swapping plain butter out for a compound butter you’ve made yourself or try coconut oil or even bison tallow. Obviously one of the great things about the Mississippi roast is how easy it is to make. But if you have a little extra time, why not fancy it up by making everything from scratch. Homemade ranch dressing mix is easy to make in big batches, and you can use it in your Mississippi roast and to make dips and dressings. You can also make your own onion soup mix and au jus mix, giving you full control over what goes into your meal. Pepperoncini are delicious, but with so many pickle options out there, why limit yourself? You want something tangy, salty and a little spicy. Look for spicy pickled dilly beans, mixed giardiniera, pickled cherry peppers or pickled jalapeños and carrots for extra spice. There you have it. By making these simple swaps, you can make sure that the Mississippi roast is more than a one-hit wonder in your house. After all, how often do we find Pinterest miracle recipes that actually work this well?